A deliberately hybrid text, the fruit of a partnership over many years between a poet/ethnographer and a painter who have mutually enriched each other’s understanding of the meaning of place, Graphologies takes a line of thought for a walk across poetry and the visual arts, autobiography and fiction, cultural and literary studies, exploring the emotional and narrative hinterlands of the commonplace. The sparkling Introduction outlines the rationale of its poetics, while the paintings, photographs, maps and other illustrations add an important dimension to the book, extending its appeal to a wider audience. Part 1 is then a sequence of poems in which familiar objects, encounters, or relationships have in some way become strange or other. The poems are counterpointed with paintings by Jean McNeil which invoke a sense of transient things arrested in their moment of manifestation or imminent departure : a tide that is on the turn, a glimpse of a landscape from a train, a passing storm… She is attracted to elements of strangeness in familiar scenes: an unusual light, surprising arrangements of shapes. In Part 2 short prose poems explore the memoryscapes of a childhood in which intimate spaces of fear and delight become disembodied as they are refracted through the trauma of the Blitz. Part 3, a fictional memoir, ‘Like as Not’ features the mysterious K. He recalls a journey of self-discovery through the surreal landscape of his childhood and youth, growing up in a dystopian society of the future where ‘soapspeak’ and ‘knowgov’ are the only permitted discourses. The pervasive sense of personal dislocation, of lack of concordance between the official map and the actual unfolding territory of a life results in a series of phantasmagoric events ending in a suicidal sea voyage. 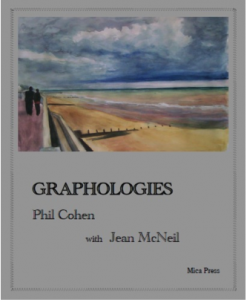 Phil Cohen came to creative writing through the practice of ethnography and through the painting of his partner, Jean McNeil. 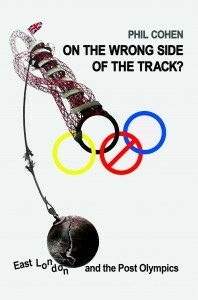 He has recently published On the Wrong Track? 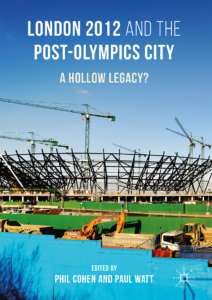 East London and the Post-Olympics (Lawrence and Wishart) and a memoir, Reading Room Only (Five Leaves). His poems have appeared in various magazines, e.g. Agenda, Soundings, and Critical Quarterly. Material Dreams, a collection of writing on memory and narrative, is forthcoming from Palgrave,Macmillan. He is Emeritus Professor of Cultural Studies at the University of East London. 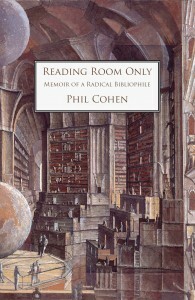 Website and blog: www.philcohenworks.com. Publication date: 18 July 2014. 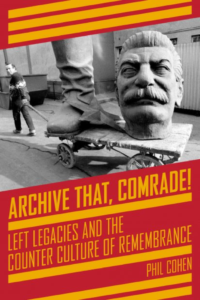 Recommended price: £11.99 Paperback – ISBN 9781869848026. 86 pages 23.5 X 19.1 cms with colour illustrations. Subjects: Poetry, Art, Fiction. Publisher: Mica Press 47 Belle Vue Road, Wivenhoe, Colchester, Essex CO7 9LD Tel: 01206 826844 Email: info@micapress.co.uk Web: www.micapress.co.uk – phone or email orders.